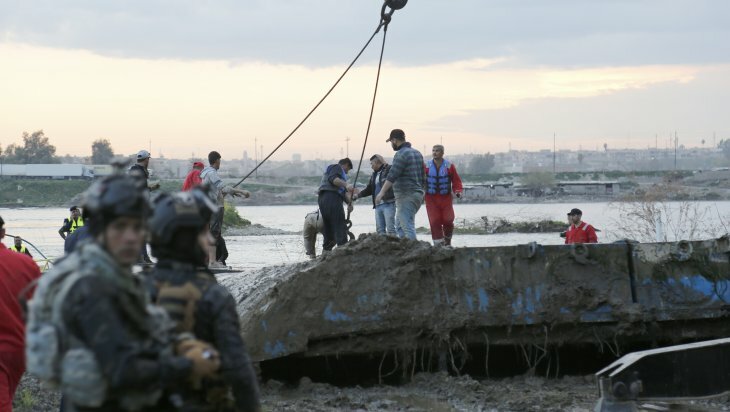 A major ferry accident has taken place in Mosul, Iraq’s second largest city after the capital Baghdad, on 21 March 2019. More than 100 people lost their lives and dozens of people were injured. This grim accident put Mosul on the country’s agenda once more and made it the focal point of the Iraq politics. 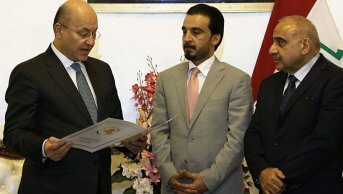 Iraqi President Berham Salih, Prime Minister Adil Abdulmahdi and President of the Council of Representatives Mohammed Halbusi visited Mosul and the Council of Representatives of Iraq decided to sack Governor of Mosul Nofal al-Akoub and his two deputies of their duties, as well as initiating the process towards repealing the Provincial Council of Mosul. In addition, Prime Minister Adil Abdulmahdi decided to form a committee to investigate the boat disaster in Mosul, which consists of the Rector of the University of Mosul Mzahim Khavat, Commander of the Ninova Operations General Najm al-Jubouri and Chief of Police Hamad al-Jubouri. However, it cannot be said that solving problems in Mosul will be easy. Almost three years of occupation by the terrorist organisation ISIS, effects of the war against ISIS and the developments after ISIS have left important scars in Mosul. Mosul, which was the headquarters of ISIS in Iraq and was even the so-called “Capital of the Caliphate”, was saved from this destructive terrorist organisation after an approximately 10 months long operation which started in October 2016 and completed on July 2017. Iraq’s second largest city Mosul saw more than 3 million people forced to leave their homes due to the ISIS. According to data from the United Nations (UN), more than 850,000 thousand people had to escape Mosul in the 10-month long period in which the Mosul Operation was carried out. According to the UN, there are still more than 2.1 million internally displaced persons (IDP) in Iraq. It is also known that around 670,000 people returned to Mosul after the Mosul Operation was completed. As of today, Mosul has only half of the population of 3.8 million people who used to live there before ISIS. It should be stated that the living conditions are extremely difficult. This is because the reconstruction efforts in Mosul have still not started in the full sense. It is possible to see bullet marks on almost every building in the city. Mosul’s western side, which was the old city on the left bank of the Tigris and called Ayman in Arabic was largely destroyed. There are so many damaged buildings as well as those destroyed that the number of buildings suitable for habitation is very low. Five bridges which connected the eastern and western sides of Mosul were destroyed in the war. One of these bridges was the Cisr al-Hurriyah, which was built during the Ottoman period and used to be the symbol of the city. Transport is carried out only via auxiliary and mobile bridges and there are even some areas in which motorised primitive rafts are used for the crossing of vehicles. There is also still no work on removing the debris of damaged and destroyed buildings. In addition, improvised explosive devices (IED) which were left under the rubble seriously affect the already-limited debris removal efforts. There are also corpses of the people of Mosul, who lost their lives during the coalition operations being recovered from the debris. It is said that there are still dozens of corpses under the debris. There have even been warnings issued about the possibility of corpses under the debris creating epidemics. Even though various programmes are carried out by international organisations, most of the people who returned to their homes are trying to improve their living conditions through their own efforts. This is because the city’s infrastructure took heavy damage. 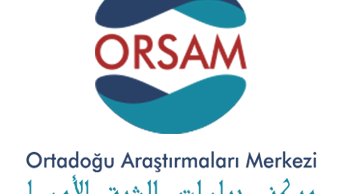 While healthcare services are only provided at the lowest level, education is also carried out under very difficult conditions. In this field, repairs to the University of Mosul, which was burned down by the ISIS, is proceeding very slowly and higher education cannot be provided properly. The social structure was also harmed due to all the death and destruction in the city. Mosul’s characteristic features are slowly disintegrating. Mosul was a historically significant city, but it is now losing this trait. It is known that even though some people are moving to Mosul from other regions, others who once lived in Mosul do not want to return to their city. As a matter of fact, many families from Mosul who migrated overseas have expressed their decision to stay in the country where they currently live. For this reason, the demography of the city is changing. Basra, Baghdad and Kirkuk have also experienced demographic changes similar to Mosul. On top of all these problems, the province of Mosul also stands at the centre of various political and security crises. The existence and activity of militia groups, particularly in Mosul, came up on the agenda again after the ferry disaster. 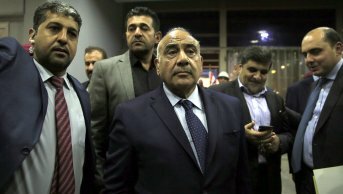 Claims that the amusement park which organises the ferry tours on the Tigris is owned by the militia group named Asa’ib Ahl al-Haq led by Qais al-Khazali and that the owner of the park is a member of the Asa’ib Ahl al-Haq group, which was late to arrive in Mosul has brought up the influence of militia groups on Mosul in to the discussion. For example, it is known that the Hashdi al-Shaabi, which played a big role in saving Mosul from ISIS and other accompanying militia groups opened offices in Mosul after the city was cleared of ISIS. 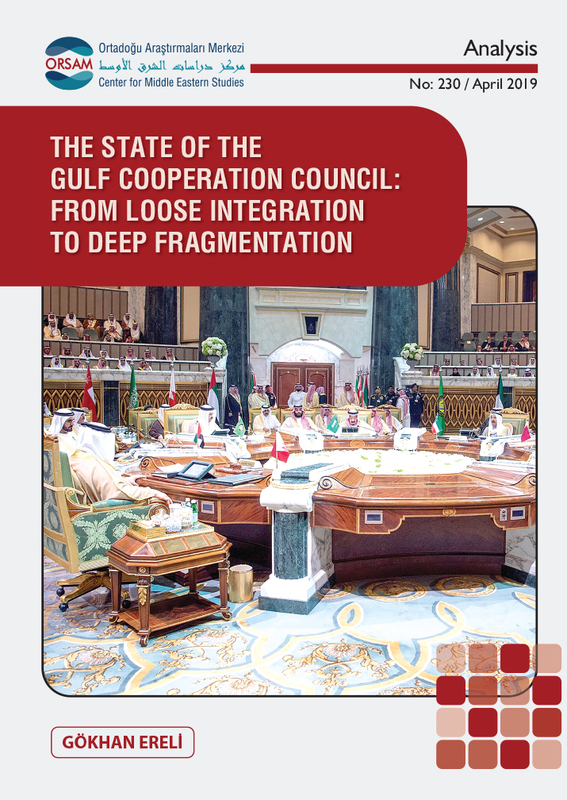 This situation creates sectarian tensions between the people and militia groups and it is possible to say that the presence of militia groups creates popular distrust. This is because the rumours regarding the illegal activities of militia groups in Mosul are widespread. This even directly threatens the security balance in Mosul. Even though US soldiers patrolling Mosul and the militia groups encountered each other during the period when the US military presence in Iraq was being debated, there were only elevated tensions without any clashes. At the same time, although they have been denied, there were reports that the USA presented Abdul-Mahdi with a list of 67 Shiite militia organisations and demanded their activities be banned. On the other hand, it is possible to view this situation as a reflection of the tension between the USA and Iran. It is claimed that Iran is trying to extend influence over Mosul through militia groups. Some indicators back these claims up. Iran’s Ambassador to Iraq recently visited Bartella in outer Mosul, which is populated by minorities and where an school was built by an Iranian NGO, named after the leader of the 1979 Iranian Revolution, Khomeini. This was unimaginable considering Mosul’s pre-ISIS ethnic and religious structure. Similarly, a hospital named al-Khomeini was opened in Mosul. 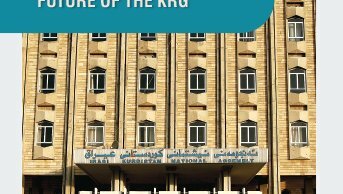 It was decided that a Persian Language Department is to be established at the University of Mosul. On the other hand, the presence of militia groups, state institutionalisation and irregular armed groups create very serious problems for the government. As a matter of fact, after the ferry disaster, it was announced that the Iraqi government gave instructions to the Iraqi Army to close down the offices of irregular armed groups. On the other hand, it is interesting that ISIS once again began to carry out activities around Mosul. Even though Mosul was liberated from ISIS two years ago, the future of the city still remains uncertain. It is said that ISIS withdrew to the Al-Jazeera region and may threaten the city again. Iraqi security forces are unable to clear the ISIS presence in the desert. It is also said that ISIS has sleeping cells within Iraq. On the other hand, the presence of the terrorist organisation PKK in Sinjar, which a part of the province of Mosul, poses a major threat against overall security in Mosul. The fact that members of the terrorist organisation PKK, who were trying to pass into Syria through Sinjar on 18 March 2019 attacked Iraqi security forces is the most concrete example of this situation. All considered, it would not be wrong to say that Mosul stands right in the middle of the administrative, political, security and economic crises in Iraq. Mosul, took the brunt of the war against ISIS, has now become the focal point of the crisis in Iraq. Once more, the people of Mosul are living through the greatest trouble in the region. The people of Mosul, beyond any political and security problems, are facing an even bigger humanitarian crisis. At this point, while the people who returned to Mosul trying to relieve their wounds, they are more interested in the wellbeing of their relatives who could not return to the city due to the damage caused by war, how their losses will be covered and how the city will be restructured. The people of Mosul are worried about having to migrate once more. Mosul is on its way to becoming a failed province. Conditions in the city provide grounds for new terrorist organisations to emerge. At this point it is possible to say that Mosul harbours a multi-faceted conflict dynamic. This dynamic becoming fully active may lead to a climate of instability which may engulf all of Iraq. For this reason, the Iraqi government first extinguishing the flames of suffering that burn the people by finding solutions for the humanitarian crisis in Mosul will be the first step towards taking the country back from the threshold of a great crisis. 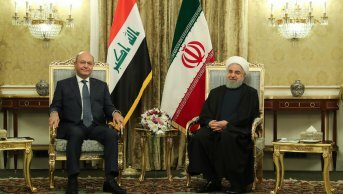 2018 Assessment of Iraq: Where to After ISIS?